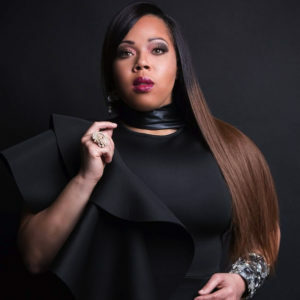 Path MEGAzine > News > Gospel > Mary Mary’s Younger Sister Shanta Atkins Lands on Billboard! Shanta Atkins has stepped out from behind the shadows & penned & produced her second newly released single “God Sees You” which speaks to the hearts of those battling suicide & depression. This song is a fresh sound and completely acapella. It raises awareness of the inward struggle of many who battle mentally and emotionally and gives them hope that healing will come. Shanta Atkins uses her gift and platform to raise awareness about things that matter. This new song “God Sees You” is available on all digital music outlets as well her first single, “I Will Follow”. Shanta Atkins is not only as an artist with a great voice but also an amazing songwriter. You can look out for more music coming from her soon. With life wrapped in her voice, her spiritual upbringing inspired her to lend her gifts and talents to the forgotten and emotionally wounded. She can be found in impoverished communities across the globe serving and empowering women, men and children. She uses her natural and spiritual gifts and talents to help heal hearts and empower souls. Shanta is an avid promoter of education and her professional career encompasses the work of a educator, missionary, and activist. She is Executive Director of Love Changes Lives Inc. which is an organization that offers spiritual counseling, personal empowerment, vocal coaching, summer music programs. This entry was posted in Gospel, Reviews and tagged God Sees You, Shanta Atkins by Kris Patrick. Bookmark the permalink.